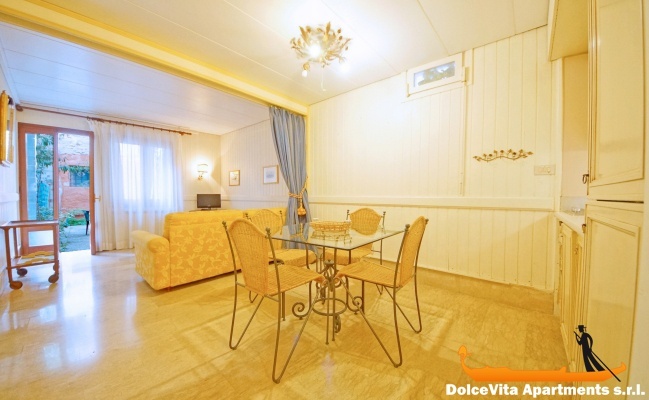 Apartment N. 247: It can accommodate up to 4 people, it is rented from 100 € per Night (not per person). 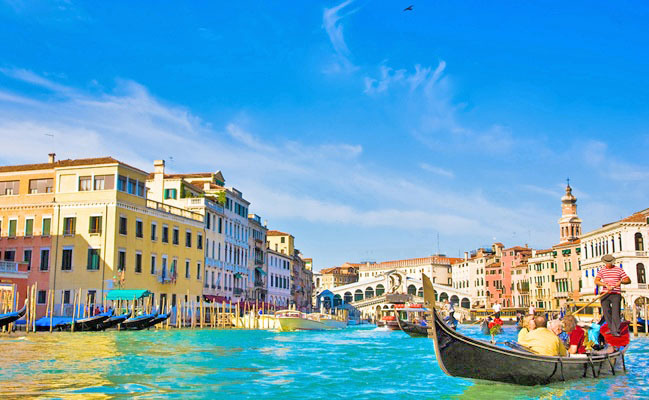 Cheap Apartment in Venice Castello for 4: This property requires payment of the balance before your arrival in Venice: the check-in manager will give you all the details. 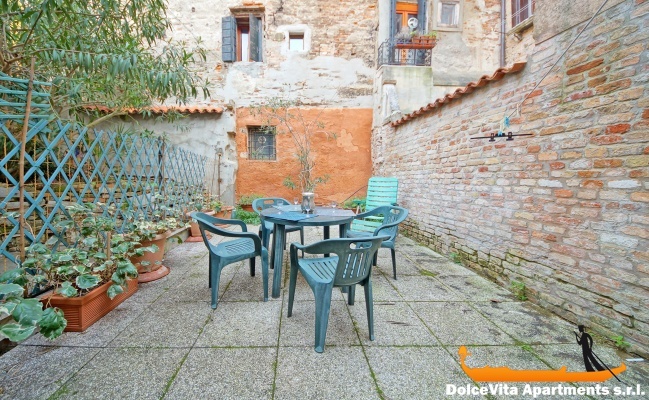 Apartment with private courtyard in the heart of Venice, precisely in the Castello district. 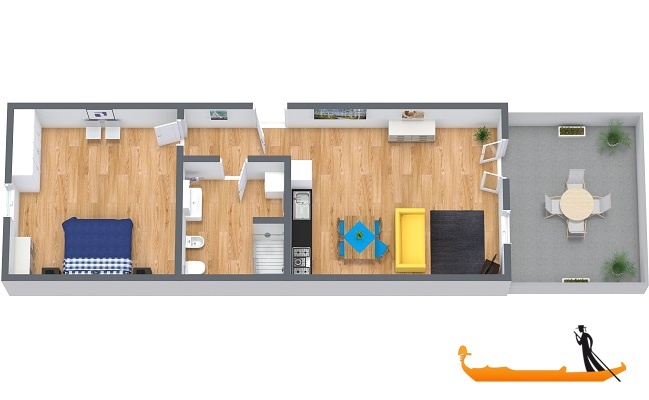 It has a large living room, a bedroom and a bathroom with shower.Thanks to a comfortable double sofa bed it can accommodate up to 4 people. 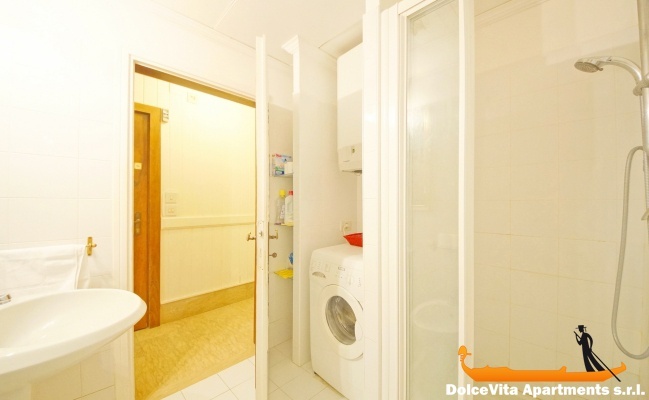 The kitchen is well equipped including microwave, refrigerator and dishwasher. 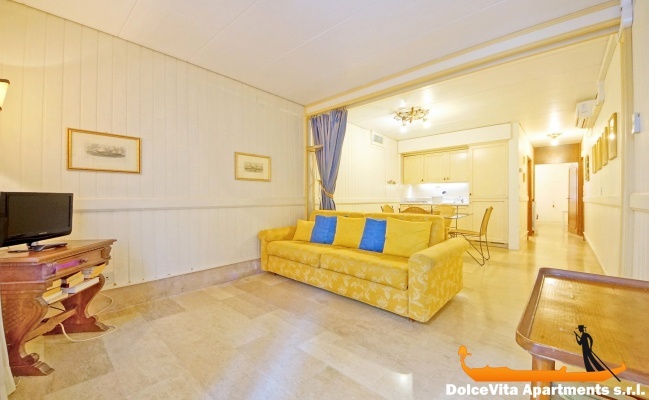 Among the services available, there are also Wi-Fi, TV and air conditioning. Supplied sheets, blankets and towels. 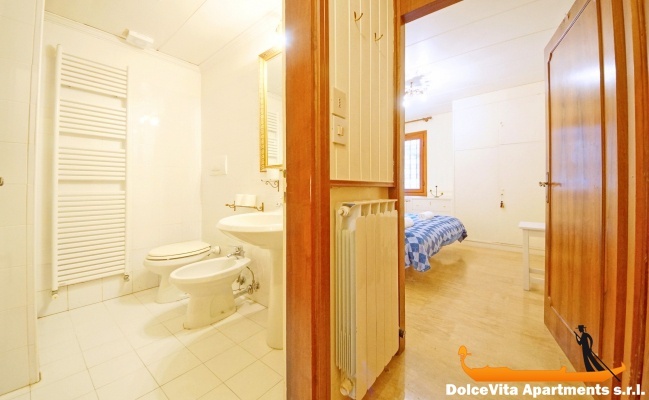 Just 200 meters from the Church of Saint Laurent (where Marc Polo was buried), the apartment has a central position. 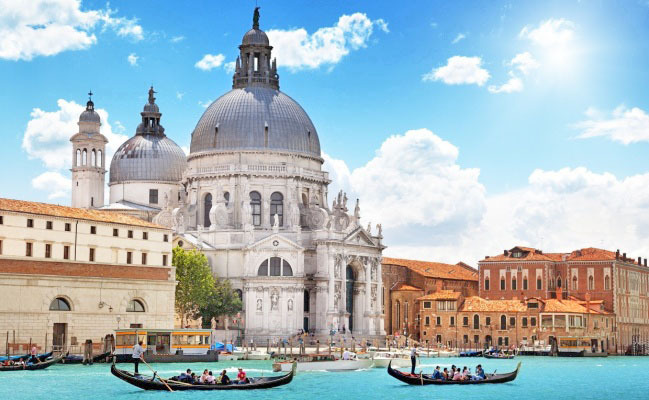 In less than 10 minutes we get to St. Mark's Square, while the Basilica of Saints John and Paul is only 600 meters. 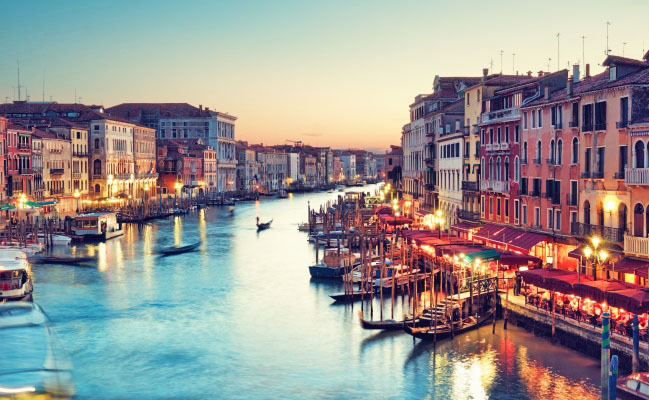 Also ideal for boat trips because it is located just 400 meters from Celestia vaporetto stop and 650 meters from "San Zaccaria" vaporetto stop. 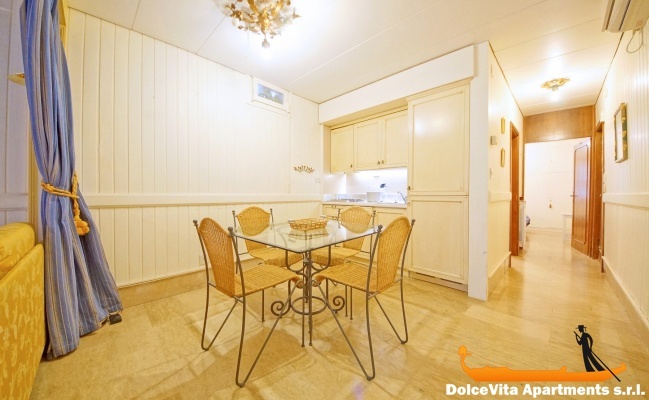 apartment very well located, wifi access, store nearby, very nice terrace for outside dining. fast booking, all done by email it's perfect. Located, globally satisfying but kitchenware to review: no salad bowl, nonstick coating of the pots too damaged . Very satisfactory service.